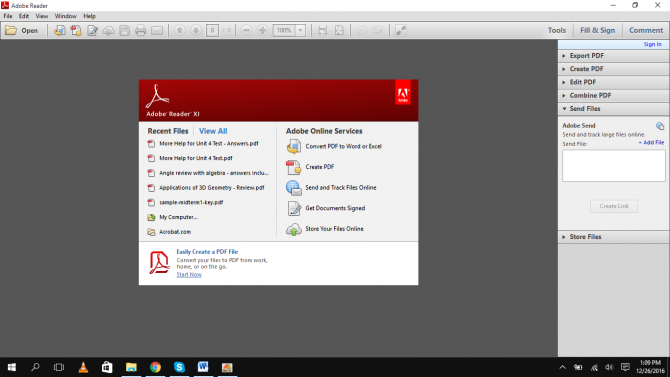 Adobe Reader 11.0.10 is used for PDF files to open, edit and read them. Now it has dynamically lots of changes and new features in it. It is a free software and very compatible Reader as it contains many advanced tools in it. In this article I am giving you the glimpse of all new amazing features of this release. And all the links for Offline Installers are given below with different languages. Now install the Adobe Reader 11.0.10 with Offline Installer so that no worries about internet connectivity. This is the most powerful than the other PDF software. It is now associated to Adobe Document Cloud. Now you can open, edit or work with your files anywhere as your files are on cloud and can be accessed by anywhere. Now you can add annotations in your file for any line through the new commenting tools which are present in Adobe Reader. You can highlight the important text through using Highlighter. You can send your PDF files to email through Adobe Reader. It is a combined Pack which can convert PDF files to Word or Excel format, it can send any file to any one you want and it can track all of your files. Its license fee is $69.99 per year. These all are new features and products of Adobe Reader 11.0.10 and the Offline Installer link for them. You must try this Reader as it has rating as best Reader for PDF files. Thank You.